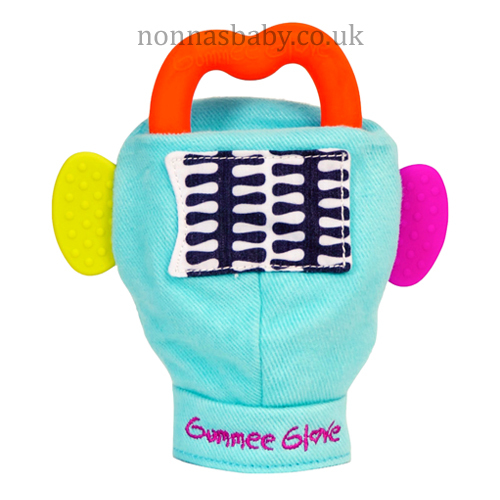 One Turquoise Gummee Glove mitten with red detachable heart shaped teething ring, plus laundry bag for easy machine washing and hygenic transportation. 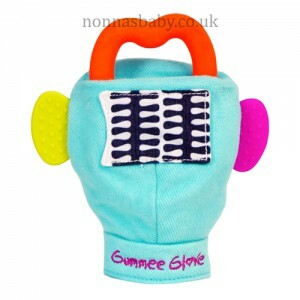 Side teethers and silicone heart are made from food grade silicone and tested to En71 safety standards. 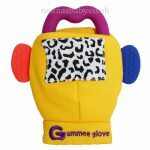 BPA, Phthalate & Latex free. 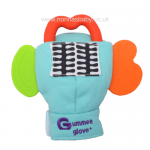 Non returnable if used – covered by consumer contracts regulations. 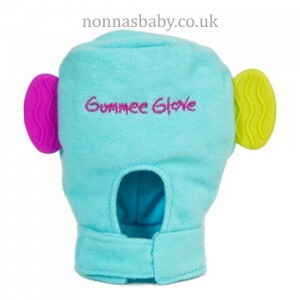 The approximate dimensions for the inside of the Gummee Glove are as follows: Length, 7cm from start of wrist to top of glove – Width, 7cm at widest part – Height, 4cm.